This land is HER land. Her land is small. Her land is wide. Her land is high. Her land is hers. 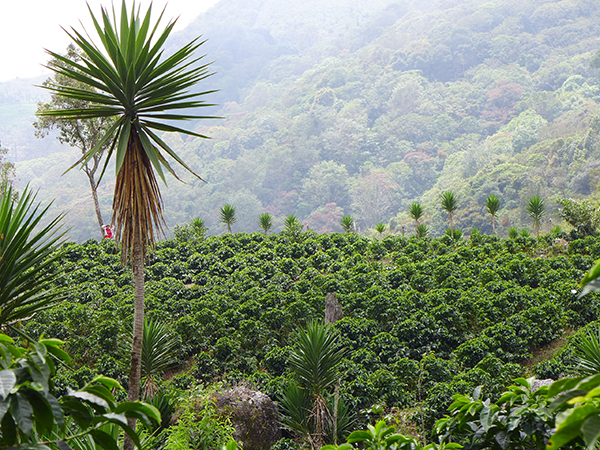 She is Jesus Guzman, a woman, a clothing inspector and now a coffee farmer. Her four walls are coffee mountains. Her in situ painting is the vision of minute, cabbage white butterflies that flutter atop her bushy Pacas coffee trees. Historically, a good performer at high elevations, Las Mariposas, as Guzman would like for her coffee to be called, finds its worth in s trek that peaks at 1730 masl. As with the elevation of her coffee, so it is with Guzman’s intent to metamorphose her own life, and that of others through the production and consumption of coffee. Into her woods, let us drink. This entry was posted in coffee and tagged butterflies, cafe grumpy, cielito, greenpoint, las mariposas, pacas, roaster, santa barbara, woman owned. Bookmark the permalink. coffeetography. : on the street near 12 Corners Cafe, New York, NY.